YSU President Jim Tressel, left, and former President David C. Sweet were all smiles as the YSU Foundation celebrated its 50th anniversary with a dinner in Stambaugh Auditorium. 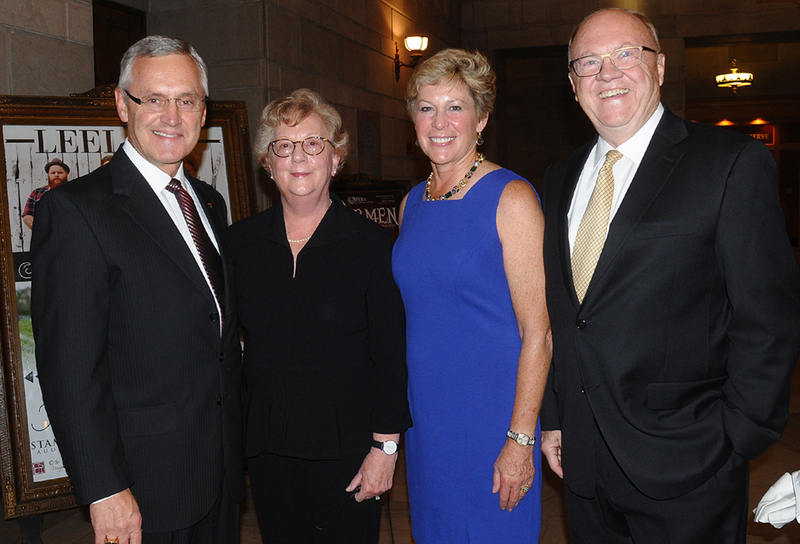 Also pictured are Pat Sweet, next to President Tressel, and Ellen Tressel, next to President Sweet. The YSU Foundation has more than $210 million in assets, the largest endowment of any of the public universities in Northeast Ohio. In turn, the Foundation provides more than $8 million in scholarships and program support every year to YSU.